Easter is right around the corner and my god-daughter is sure to be the best dressed baby at the egg hunt. 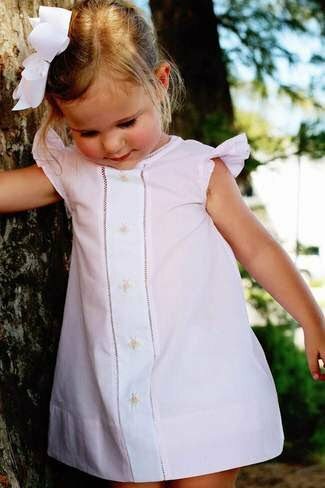 I absolutely adore the hand-embroidered baby fashions from Feltman Brothers! They are perfect for the upcoming holidays (Easter, Mother’s Day brunch and much more)! I was sent the new “A-line Dress With Fly Sleeve” in blue (also available in pink) from their new “Bouquet Collection”. Simply gorgeous and reasonably priced at around $59.00. This line features perfect, classic, floral pieces that will take you out of your winter blues and straight forward into Spring! Whether you choose something from this collection or one of their others; their apparel is made from the finest fabrics and their designs simply the best baby vintage out there! These outfits are available in sizes 3M – 24M. 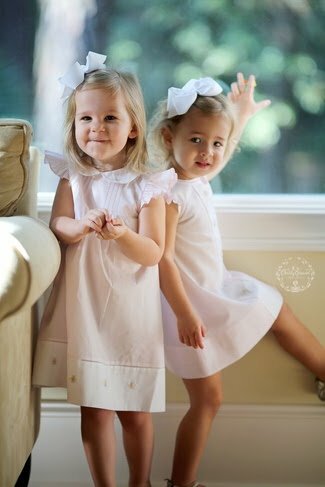 This year, Feltman Brothers is celebrating their 100 Anniversary and I am sure they will continue to bring the world their fabulous boy and girl fashions and layette items for another 100! Please visit their collections at http://feltmanbrothers.com quickly so you can dress the baby in your life in the finest for Easter! They offer free shipping on purchases over $95.00. Feltman Brothers is my baby clothes go to!